Also available as a download. 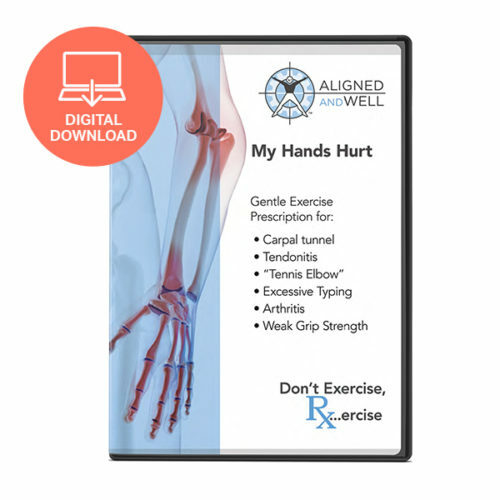 The simple, accessible, and effective Aligned and Well series is designed as a great introduction to movement for the complete beginner. 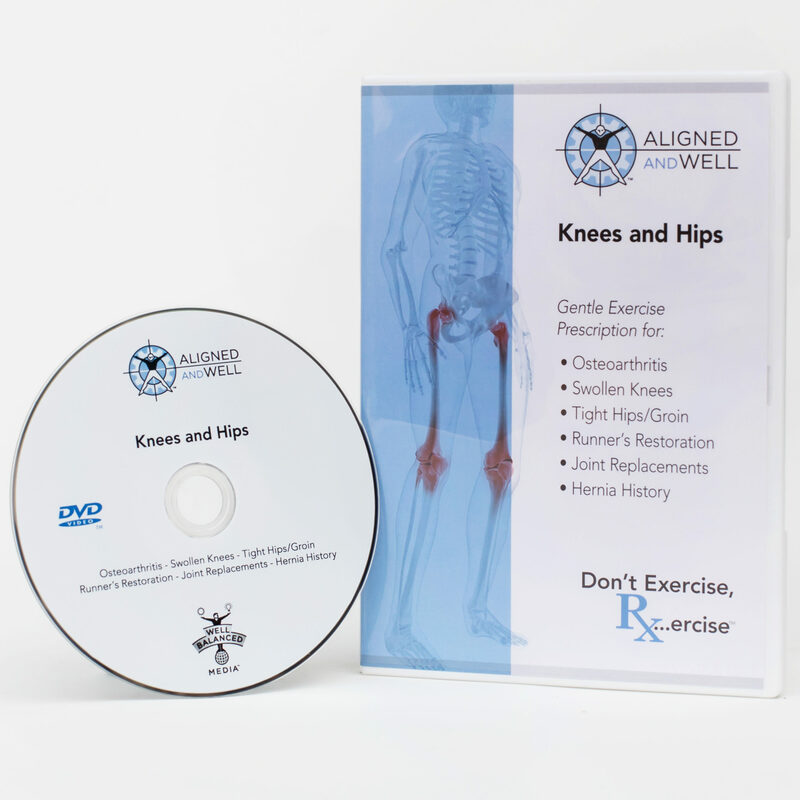 In this DVD, Katy guides you through exercises that stretch and strengthen the muscles most involved in preserving the health and mobility of the knees and hips, no matter what may be causing pain in those joints. 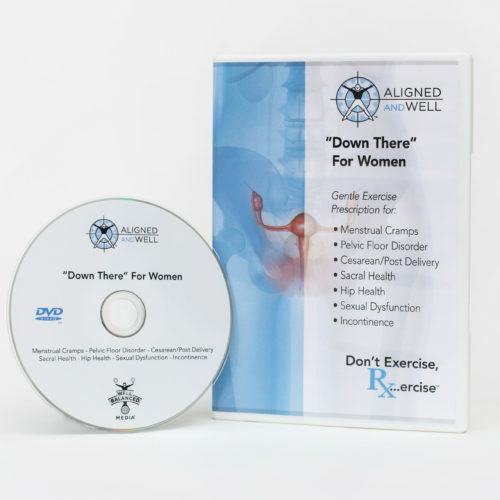 The exercises can be modified if you’ve had a joint replacement. 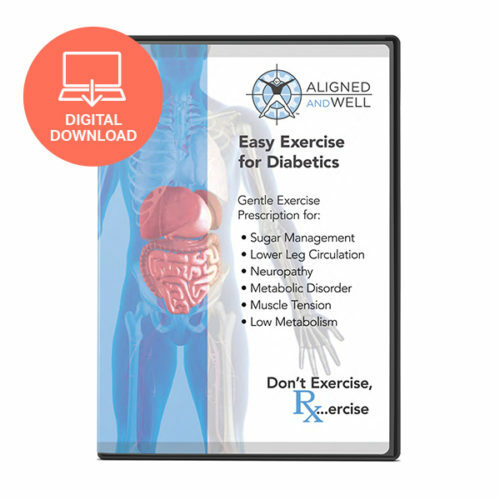 Includes bonus lecture and printable exercise program.